Leveraging on our robust infrastructure and a talented and committed workforce, we are able to provide our clients with a premium range of Industrial Components, industrial products, CNC Turned Components Isolators, Distributors, CNC Components, Flanges, Gaskets, Rubber, Plastic Products and other. 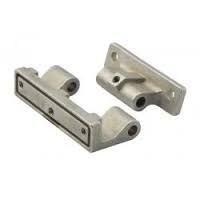 It includes Industrial Flanges, Rubber Flanges, Aluminium Flanges, CNC Components, CNC Turned Components, Industrial Plastic Products, Industrial Knobs, Industrial Latch, PC Glass, Industrial Pull Handles, ABS Handles, Refrigerant Distributors, Industrial Refrigerant, Industrial Components, Industrial Spindles, Striker Nuts, Copper Spuds, Isolators, Rubber Gaskets, Window Gaskets, Industrial Spindles, Spindles, Industrial Rubber Products, Hostaform Bush, Industrial Panel Bush, Rubber Glands, Industrial Hinges, Spring Isolators, Steel Spring Isolators. To serve the exact needs of our clients to the maximum, we provide them with customization of the desired products as per their specific requirements. Our range is high in demand all across the world and owing to their outstanding quality, we have been able to establish a wide network of clients in various countries around the globe such as Middle East countries, European Union and Far East countries. We were Nominated to The International Trade Awards 2006-07 as The Emerging Exporter, Organized by CNBC TV 18 & DHL.